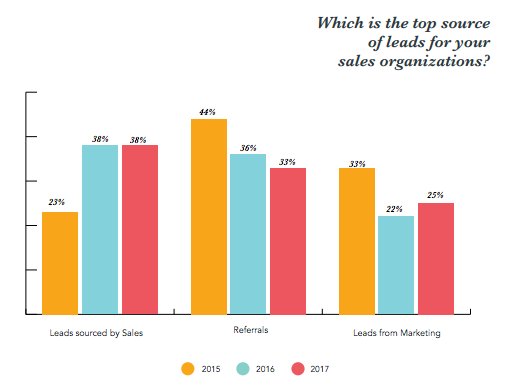 HubSpot has released their State of Inbound 2017 report and as we've come to expect, it's packed full of analysis regarding the top challenges and priorities businesses face within the scope of marketing and sales. It also serves to highlight some new trends and obstacles that loom on the horizon. So we wanted to take some time to give you our list of the top 7 takeaways from this year's report and why you should care. For some context, the report is conducted using an online survey over a 3 month period. This year's report consists of data from over 6,399 respondents in 141 countries across all industries and company sizes. 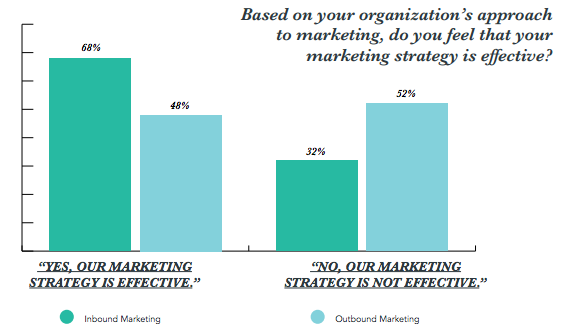 Proving ROI of marketing activities is listed as the top marketing challenge for 40% of companies, the second biggest marketing challenge behind generating traffic and leads. 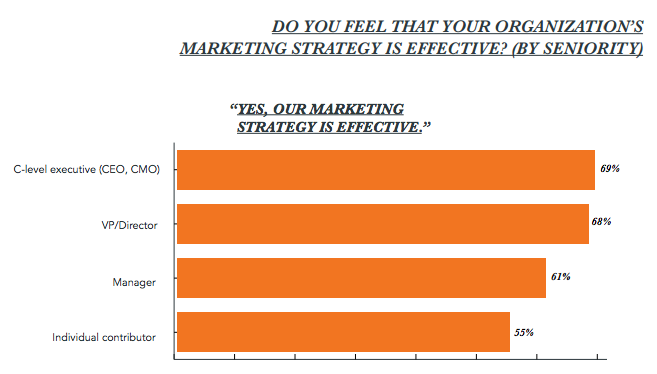 More and more marketing departments are being measured on their contribution to revenue. In order to prove they are actually having an impact on the bottom line, marketers need a method of tracking their efforts and an attribution model to assign credit to those efforts. This data indicates that there still remains a gap related to internal processes and operations that is preventing marketing from measuring their success. 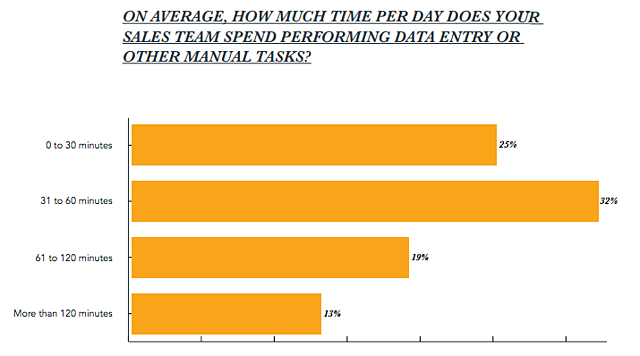 64% of respondents are spending more than 30 minutes a day on data entry or other manual tasks. Every minute a salesperson spends on data entry, is a minute they could have spent engaging with prospects. Unfortunately, marketing automation and CRM platforms rely heavily on data to run efficiently. However, if you find that your salespeople are doing the heavy lifting in this area, then it could be time to realign responsibilities. 69% of C-level executives believe marketing strategy is effective, while only 55% of individual contributors feel the same way. These results are a clear sign that a disconnect exists between leadership and staff. The vision set forth by leadership needs to be clearly communicated to those that will be executing on it. This not only informs staff what they should be working on, but it helps them understand why they are spending their time on it in the first place. On the other hand, this could could be an indication that barriers exist which prevent a bottom-up approach to sourcing organizational changes and improvements. Buying habits no longer align with traditional forms of marketing like print, telemarketing, direct mail and outdoor advertising. This is especially true in the B2B space, where prospects are spending more time gathering information before making a decision than ever before. The inbound approach to marketing has taken this shift into account by building trust and authority with prospects upfront through the creation of valuable pieces of content. Companies that are tightly aligned with an SLA between marketing & sale are 3 times more likely to say their marketing is effective than those that are misaligned. An SLA between marketing and sales is a contract that holds each team accountable to specific, agreed-upon expectations that align to the same goal - driving revenue. 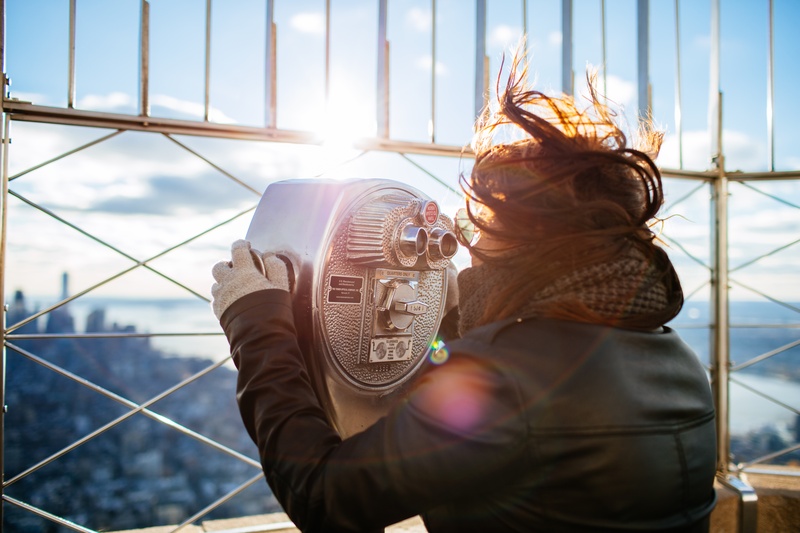 Marketing and sales teams working under an SLA have a better understanding of how each team is driving revenue, and greater visibility into their performance. 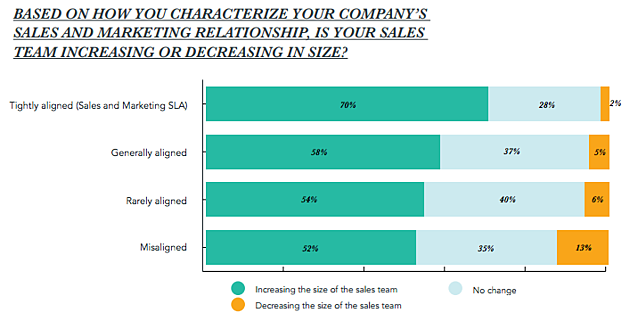 Companies that are tightly aligned with an SLA in place are 34% more likely to be increasing the size of their sales team. When marketing and sales are working together to drive revenue, it leads to company growth. Need I say more? The main goal of your marketing team should be to generate leads that sales can close. If your sales team does not trust the leads that come from marketing, than they will be forced to spend more time sourcing leads and less time closing deals. Companies with an SLA in place hold marketing accountable for handing off quality leads to sales, and they ensure that sales follows up with them appropriately. This approach enables sales to invest more time into each opportunity, increasing their chances of winning the deal. Salespeople have listed the leads they source directly as their top source for the past two years. 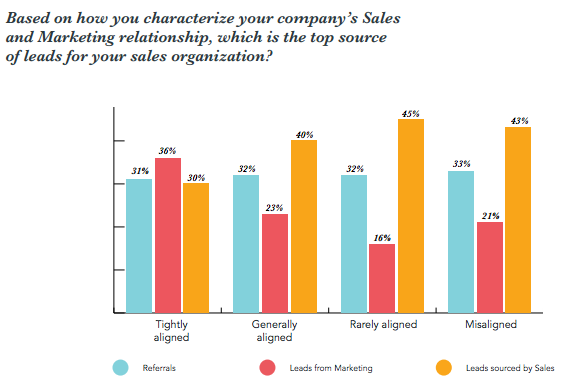 You may have noticed in the previous section that only companies that are tightly aligned between marketing and sales list leads sourced from marketing as their top source. Unfortunately, only 22% of companies characterize their marketing and sales relationship in this way. So while leads from sales are rated as the top source overall, it does not mean that it is the best approach. We believe this will bear itself out in overall results as more companies work towards aligning marketing and sales. The way we consume content is being disrupted, and videos appear to be the culprit. HubSpot reported that 1/3 of all online activity is spent watching videos, and 90% of users report that product videos are helpful in the decision process. This means that when it comes to content creation, marketing needs to shift their focus away from being so heavily weighted towards written content.